The speech was largely about what Google is doing in India and how they are now looking at India as a very important market, probably the most important one after the US. While some of what he said today has already been public for a while, some of the things he said were new. Lets look at 10 important things he spoke at #GoogleForIndia event. Google will double their headcount and will be increasing their presence in the country. They are building a massive new campus in Hyderabad for the same. Back in May we had reported about the same. This campus will be Google’s largest Campus outside the US. Google understands that India is a cricket loving nation, and they are bringing live cricket updates through simple google search. If an international match is currently being played, just a simple search on Google regarding the match will give you all the live updates in regards to the cricket match. The feature will go live by early 2016. Sunder Pichai said today, “We are exploring ways of bringing project loon to India, especially rural areas,”. Project Loon is an initiative by Google to bring low cost internet connectivity. However, recently Telecom Minister put a spanner in their plans as he said that Project Loon will interfere with current spectrum and will disrupt existing telecom services. Google Indic Keyboard has been launched specifically for Indians and allows you to type messages, update on social networks or compose emails in your 11 native languages on your Android phone. The languages supported include English, Assamese, Bengali, Gujarati, Hindi, Kannada, Malayalam, Marathi, Odia, Punjabi, Tamil and Telugu. You can download the Indic keyboard from here. By 2017, Google plans to enable more than 500 railway stations across India. Around 100 stations of them will get WiFi by end of 2016. Sunder Pichai said that this would be world’s biggest public WiFi project and Mumbai Central station will have public WiFi from January 2016. Sunder Pichai said during the talks that India will have more Android users than USA by 2016. 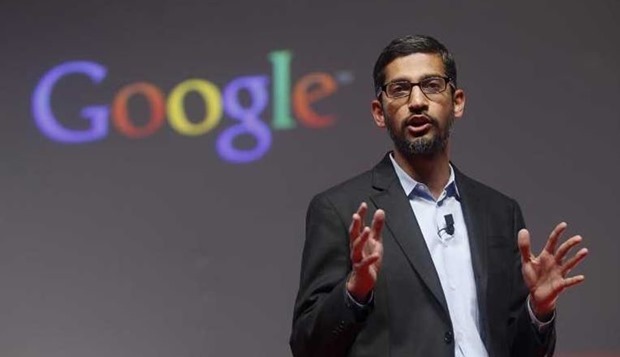 Pichai said that Google will train over 2 million Android developers in India over next few years. India is one of the top 5 countries in the world using offline maps. Also, 51 countries now us Google’s Mapmaker which was first started in India. It was expected that Sunder Pichai will announce new plans in regards to Android One, however, nothing much was spoken in that regards. Caesar Sengupta said, Android One phones now available in 21 countries, which was first launched in India! Apart from this, many other points were made including growth of Youtube, Indian focused Google search features, Google translation, Chromebit among others. "10 Important Announcements Sunder Pichai Made during #GoogleForIndia Event", 5 out of 5 based on 8 ratings. PAN Card Now Mandatory For All Transactions Above Rs 2 Lakh; Masterstroke To Curb Black Money? If Google Wifi is free, I’m CERTAIN that it’ll be spying on you!! Imagine all your email being open to the company (if you use Gmail), and THEN all your browsing history!!! – stuff of NIGHTMARES….. ! !